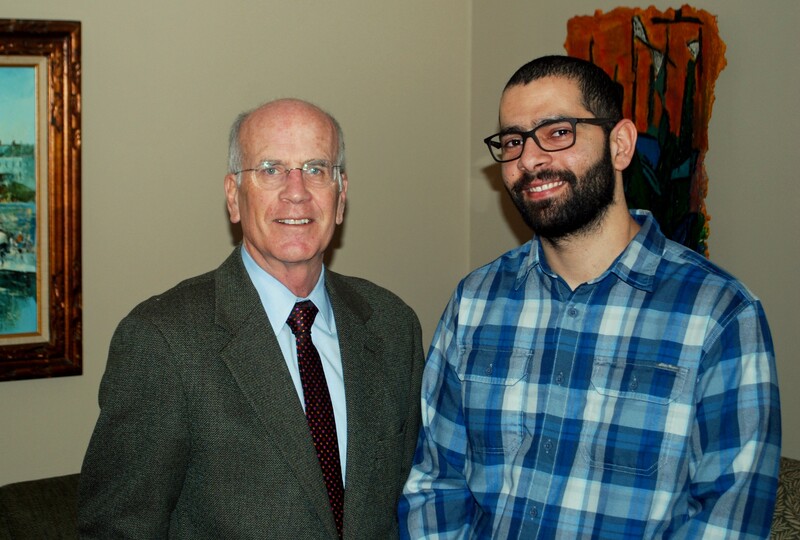 Rather than take a family member to President Donald Trump’s first congressional address Tuesday, U.S. Rep. Peter Welch (D-Vt.) is bringing Ahmed Alsaeedi of Burlington, an Iraqi man who immigrated to the United States after working for the U.S. as an interpreter during the Iraq War. A number of Democratic congressmen are bringing immigrants and foreigners as their plus-ones to protest the president’s executive order on immigration. Trump’s order — stayed by a federal judge — sought to bar refugees and residents of seven Muslim-majority countries, including Iraq, from entering the U.S. Initially, the ban applied to Iraqi interpreters, who sometimes receive what are known as Special Immigrant Visas, but the Trump administration later amended the order to exclude that particular program. Alsaeedi came to the U.S. with a Special Immigrant Visa. He started interpreting for the U.S. military in Fallujah in 2007, when he was 21 years old. Four years later, feeling under threat as a result of his service, he applied for a visa. His application was approved 16 months later. He now works as an employment counselor at the Vermont Refugee Resettlement Program. But most of Alsaeedi’s family — his mother, father and younger sister — are in Turkey, where they’ve been trying for years to get U.S. visas. After learning of Trump’s executive order, “They are feeling hopeless,” Alsaeedi said. The 30-year-old Iraqi met Welch while interpreting for two Syrian refugee families that resettled in Rutland right before Trump’s ban took effect. “I’d like President Trump to know that there are real people who will be affected by his executive order," the congressman said. Welch is also planning to introduce legislation to expand eligibility for Special Immigrant Visas and prevent future bans on those who qualify.